Get your Peawees t-shirt at Striped Music ! European Tour in November! OTIS TOURS Booking ! New Album & New Single PRE-ORDER NOW! PRE-ORDER NOW! Through ITUNES (Digital) http://smarturl.it/movingtarget/itunes Through STRIPED MUSIC store (CD / LP / 7″ / T-Shirt): http://www.stripedmusic.com/peawees/?sort=newest Through RUM BAR Records (CD / LP) https://rumbarrecords.bandcamp.com/album/moving-target Both sites ship worldwide! 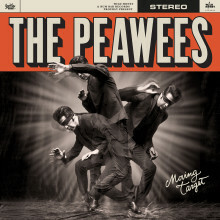 Get ready folks – The Peawees are back! New 7” single “Stranger” out April 23rd on our beloved Wild Honey Records – This is the 1st piece from our forthcoming album “Moving Target”….